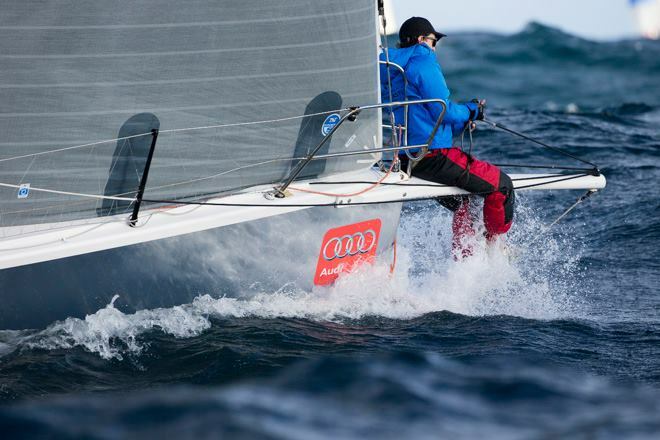 Three drama-filled short course races off Newcastle’s Nobbys beach cracked the lid on the prestigious Audi IRC Australian Championship. Winds S-SE up to 23 knots and choppy seas created plenty of challenges for crews and tonight multiple torn sails are being patched up and other damage repaired. 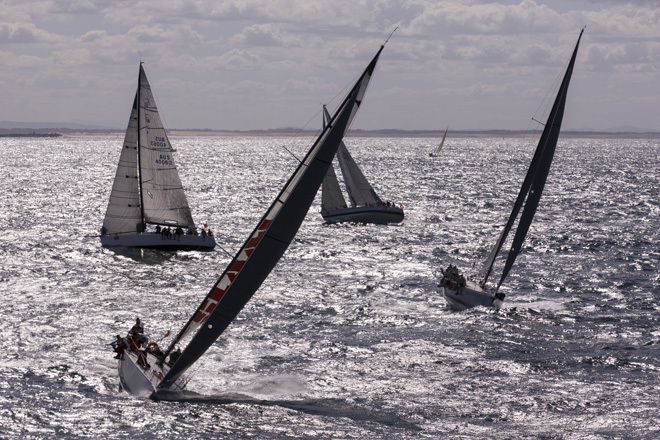 A world-class fleet has come to Newcastle to contest the pinnacle IRC handicapped yachting event in Australia. 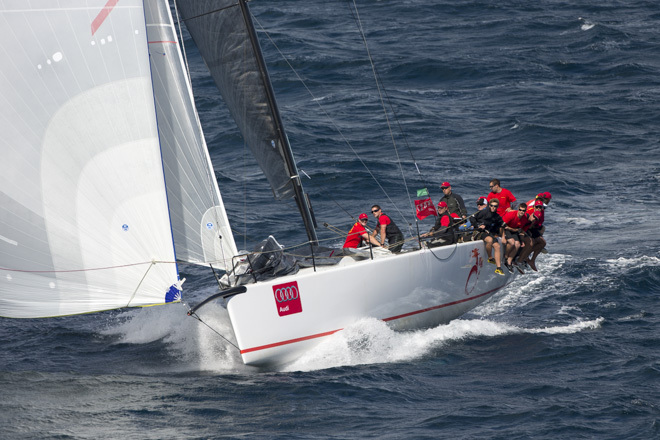 Boats of all sizes from 30 to 60 feet are racing in three divisions and come Sunday the overall winner of each will be declared the Audi IRC Australian champion for 2014. 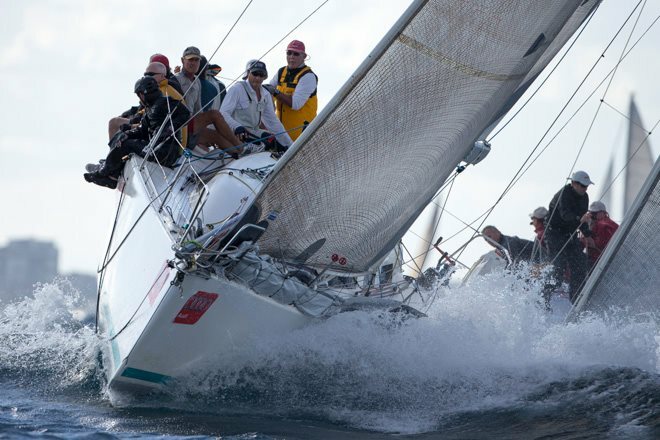 In Division A Karl Kwok’s TP52 Team Beau Geste sailing for the Royal Hong Kong Yacht Club with a mostly hot shot Kiwi crew opened its quest for the Aussie national title strongly and tonight leads Tony Kirby’s Ker 46 Patrice by one point overall. 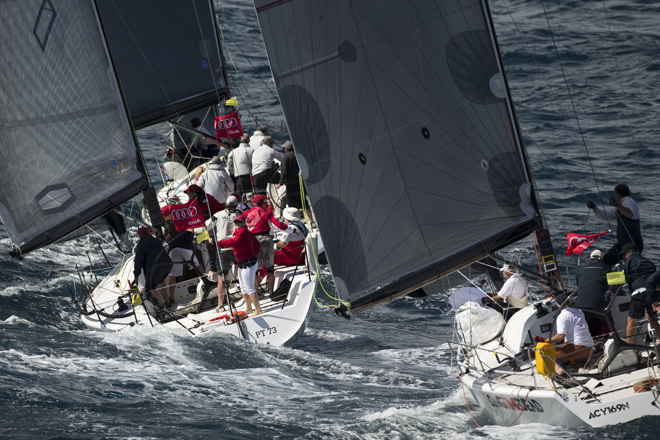 Team Beau Geste is the foreigner among the fleet and every opposition crew wants to prevent the national trophy leaving Australian shores. Bob Steel’s TP52 Quest suffered sail damage but still managed decent results to be third overall after three windward/leewards. The crew of Mick Martin’s local boat Frantic is working late tonight following a major spinnaker tangle around the forestay. The most expensive day out belonged to Yachting Australia president Matt Allen and Ichi Ban who blew a brand new spinnaker then suffered engine and electric winch failure at the next mark. 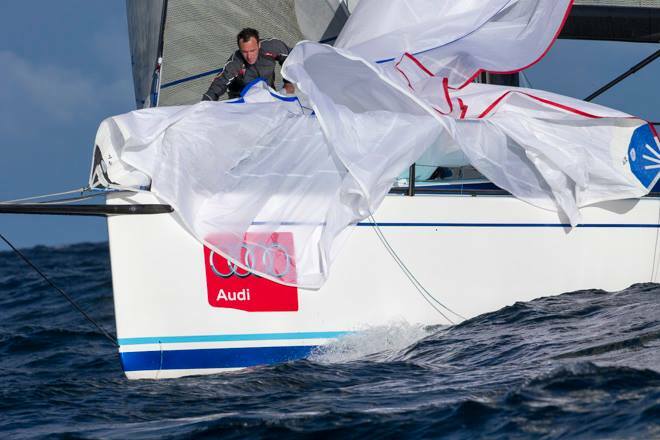 The end result of that malfunction was the 60-footer’s replacement kite dragging under the boat. Ichi Ban disappeared off the course to sort out the mess and was back for the last two races but in slow mode, due to the same mechanical issues. 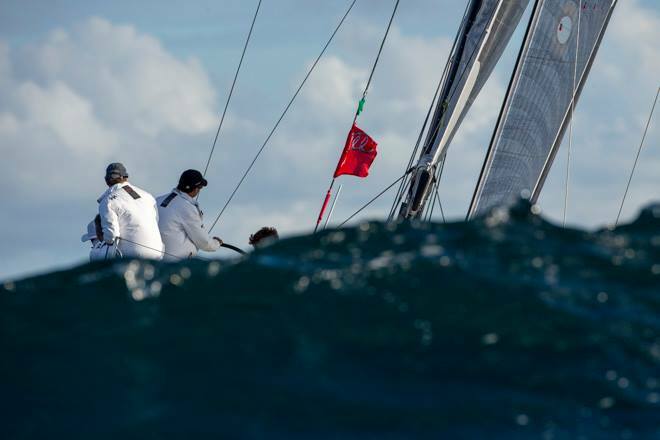 “With the one discard allowed we decided it was better to complete the last two races, even with a broken wing,” said helmsman Gordon Maguire. “We live to fight another day…there is plenty left in this battle.” On board Ichi Ban is Olympic gold medallist Tom Slingsby as tactician. In division B Rob Reynolds’ Exile and Bob Cox’s sistership Nine Dragons DK46s are one and two on the progressive pointscore. The pair shadowed each other for most of the day and Reynolds reckons their unending ding-dong is one design racing in a sense. “It makes for better racing all round,” he declared this evening. 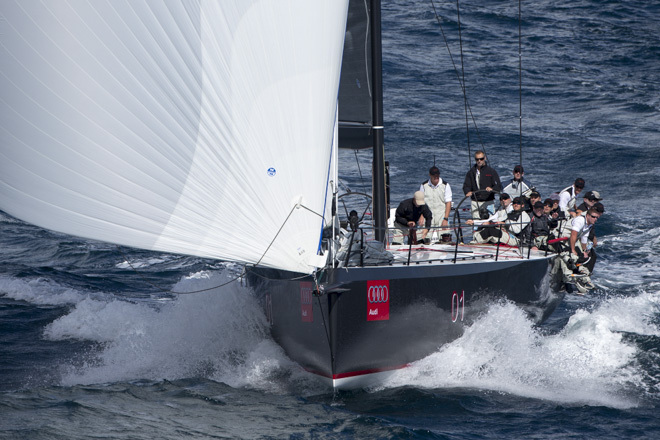 Third is the defending Audi IRC division B Champion, Bruce McCraken’s Beneteau 45 First Ikon, all the way from Hobsons Bay Yacht Club in Victoria. Division B has a new player. 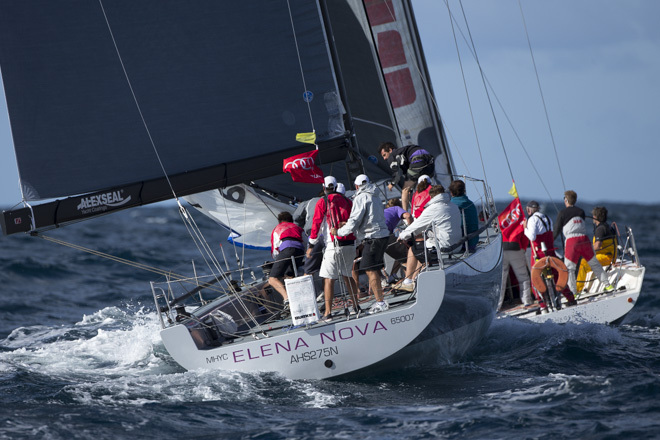 Craig Neil’s imported Judel Vrolijk Elena Nova, which is essentially a 42-foot version of a TP52. Dual Sydney Hobart winner Andrew Pearson is skippering the new Middle Harbour Yacht Club boat for its first major regatta and today Neil’s “team of athletes” pulled and eased ropes, hoisted and dropped sails and threw this very physical and powerful yacht around the course with minimal fuss. 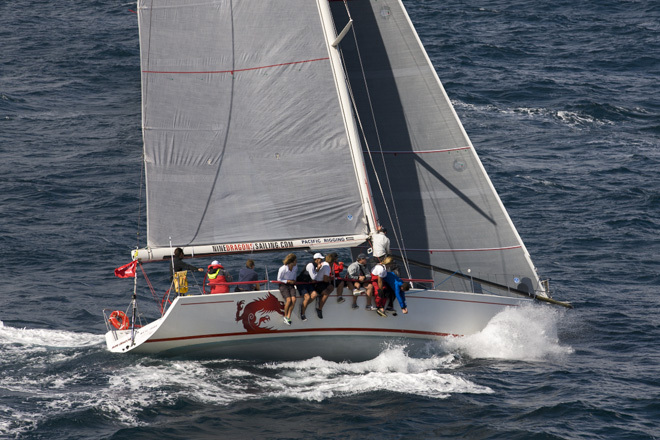 Roger Hickman’s Wild Rose has begun its campaign for the double of IRC state champion and Australian champion with flair, the almost 30 year-old boat with its proud offshore history right at home in the lumpy conditions and decent breezes. Wild Rose leads division C ahead of Phil Dash’ Justadash and the Howard family’s local boat Schouten Passage in third. 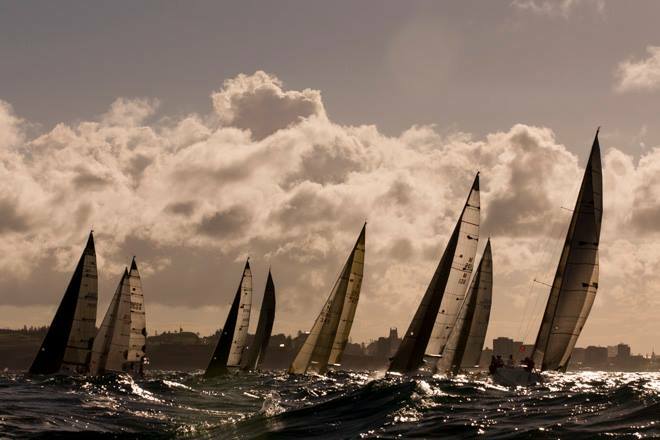 The Championship fleet has an earlier start tomorrow, 0930hrs south of Nobbys Light. Division A has a 63 nautical mile long distance race and divisions B and C a 30 nautical mile race. 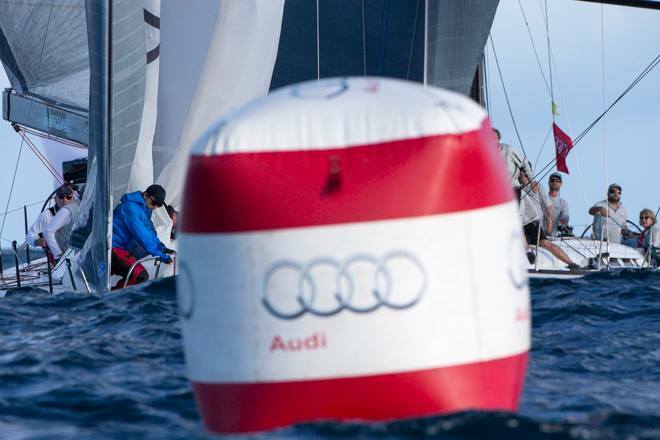 A variety of courses over the four-day series offers boats with different strengths a chance to play their A game at different times.